One of the things that are always a favorite of a Southerner is to poke fun at those who hail from the North, although what defines the true “North” or the true “South” is subjective in terms of the geography of the United States. We don’t draw a line through the dead center from east coast to west coast and call the lower half the South or the upper half the North, which would be the most correct way to define the regions; rather, we tend to think of the South as those states that decided to withdraw from their association from certain other states in 1861 and resulted in a little disagreement called the Civil War. Ever since then, regional pride on the part of both sides has kept things interesting and lively. Last week, this particular Southerner had the opportunity to venture into Terra Incognita for the first time, embarking upon a trip to the great State of Ohio for a family wedding. As I had spent many years holding the North in a good-natured state of derision, it was with some trepidation that I first stepped foot off of the plane into this “Unknown Land”. Let me clarify a few things before I write further; first, I have in fact been to the North before, three times as a matter of fact, all of which were to New York City, but with New York being the tourist destination that it is, it seemed that everyone there was from everywhere else and I was hard pressed to find an actual native of the city in that great melting pot of cultures, nationalities and personalities. Ohio, I was sure, would be very different because Cleveland is not anywhere like the tourist trap that New York is so I knew this would likely be my first exposure to the true culture of “Yankee Land”. Second, I should say that my judgment was likely tainted from an early age. When I was growing up, my neighbors, who were originally from the North would occasionally allow grandma (who was admittedly from New Jersey) to come south and visit with them for several weeks each summer and bring her grandson down to visit his Georgia cousins. The only problem with that was that grandma seemed to think that it was perfectly acceptable to raise the window and yell at the top of her lungs at the child whenever she wanted to know where he was or for him to come in the house. She apparently was never apprised that in the South, this is considered to be bad form-we never yell at our kids in public like that….we wait until we get them on aisle 14 at Wal-Mart and do it there instead. This repeated experience, summer after summer, no doubt fueled my beliefs about Northerners in general and I likely took this with me as I stepped off the plane in Cleveland, pulled my BlackBerry out, called up Facebook and posted a status appropriate to the occasion: “I have landed in the North”. After the complete zoo I had encountered that is Hartsfield International Airport in Atlanta, it was refreshingly easy to find my way through the smaller, simpler layout of Cleveland-Hopkins International Airport (I found myself calling it Cle-Hop within minutes of disembarking) and getting to baggage claim was a snap. The Cle-Hop reminded me of LaGuardia in New York; small, compact and pretty darn efficient compared to Hartsfield, which is a model of inefficiency most of the time. I myself get confused at Hartsfield and I am a native that goes there probably two or three times a year so I can imagine how a first time traveler through our airport must feel having to take trains from one half-mile long concourse to another one just to change planes. After retrieving my suitcase, I had about an hour and a half to wait on my cousins from Alabama and Florida to arrive. I had been given the responsibility for retrieving the entire southeastern contingent of travelers, securing my rental car and getting us all to our hotel some thirty miles away but I took comfort in the knowledge that despite being in unknown territory, I would have a carload of fellow Southerners with me to face whatever obstacles might present themselves. I took note of my surroundings as I waited, noting the baggage carousels and the escalators where my cousins would appear and found a nice waiting area with a clear view of them so I could watch for their arrival. In the meantime, I watched the people around me and listened to the tone and accent of the people talking to each other, their conversation devoid of the ”soft and slurring, liquid of vowels, kind to consonants” speech that Margaret Mitchell highlighted in her famous tome about the Deep South. “Yankees!” I thought to myself as I checked my BlackBerry for the umpteenth time to make sure there were no flight delays. A reminder had popped up on the screen that I needed to get my rental car and I had no idea where to go and get it when the time came so I hesitantly walked up to a large information booth staffed by a couple of senior citizens wearing distinctive gold blazers. I figured the economy must have been bad here too if the Century 21 real estate agents were having to work at the airport information desks. Summoning all of my Southern charm, I strode confidently up to the desk and said “How’re ya’ll doing?” To their credit, they looked nonplussed and the older gentleman answered “fine, and you sir?” So far, so good. I told him my plight and he directed me on how to get to the rental car place, which I found out was located offsite from the terminal and accessed via a shuttle bus that ran by every few minutes. He was actually very pleasant, if a bit hard to understand because he talked a little faster than I was used to. I still had some time before the Alabama crowd arrived and I halfway thought about asking him if there was anywhere I could get a barbecue sandwich but decided it was best not to press my luck. As I headed back to the waiting area, I put the thoughts of barbecue out of my mind and decided to have a Coke instead. Wrong idea. There wasn’t a Coke machine anywhere to be found. I did run across several Pepsi machines though and decided that beggars can’t be choosers. Much to my delight, I found the machine to be stocked with the greatest compromise ever devised in the world of soft drinks….Dr. Pepper. Since Southerners and Northerners will argue the merits of Coke vs. Pepsi until the cows come home, some wise person with the Securities and Exchange Commission decided that both companies should be able to sell Dr. Pepper and many a soft drink battle has been avoided by the mutual acceptance of Dr. Pepper on both sides as an acceptable substitute for their drink of choice. A short time later, having secured all family members, luggage and a Chevy Impala big enough to put us all in, we were booking down Interstate 480 and commenting on how green the landscape was. The part of Ohio we were in, around Cleveland, was relatively flat with mild slopes and a lot of green grass and trees. Spring had given up the fight in Georgia a few weeks ago and summer was in full swing there but in Ohio, spring was enjoying a more leisurely pace of development and did I mention that everything was very green here? If you had blindfolded me and put me down in the middle of it all, the only clear sign that we weren’t still in Georgia was the absence of red dirt, pine trees and 200% humidity. I’m not sure what I expected Ohio to look like but I was pleasantly surprised with how naturally beautiful it was. After a half-hour drive, we arrived in Mayfield Heights, a suburb of Cleveland, checked into our hotel and then headed out again to my cousin’s house in Cleveland Heights, just a few miles away. On the way there and especially when we got into her neighborhood, I was struck by the beauty of the spring foliage but even more so, by the feeling of establishment that permeated the area. I don’t mean old either, but established. The houses dated mostly from the earlier half of the 20th century and each one of them was architecturally unique in many ways. They were mostly constructed of brick and wood, one and a half or two full stories high, narrow and long, to suit the type of lots they were on. Yards were richly carpeted with thick green grass and tall oak trees, many of them quite old, covered the streets with a canopy of cool shade. Spring flowers and annuals were in full bloom, painting a rich, colorful backdrop to the landscaped sidewalks that fronted all the lots and the entire neighborhood displayed a warm, inviting atmosphere, the kind that encouraged long and leisurely walks. Kids played in yards, parents walked their children in strollers accompanied by the family dog and the whole area conveyed a sense of home. The homes that lined the streets were all well cared for and obviously loved by the people who lived in them. They ranged from Craftsman, American and Dutch Colonial, Bungalows and I even saw one clear example of a Midcentury Modern house and this wasn’t just in my cousin’s neighborhood but all over the town. For an architectural enthusiast, this was a treasure chest of unique and interesting designs and only slightly different from some of the old Atlanta neighborhoods around Buckhead and Druid Hills. 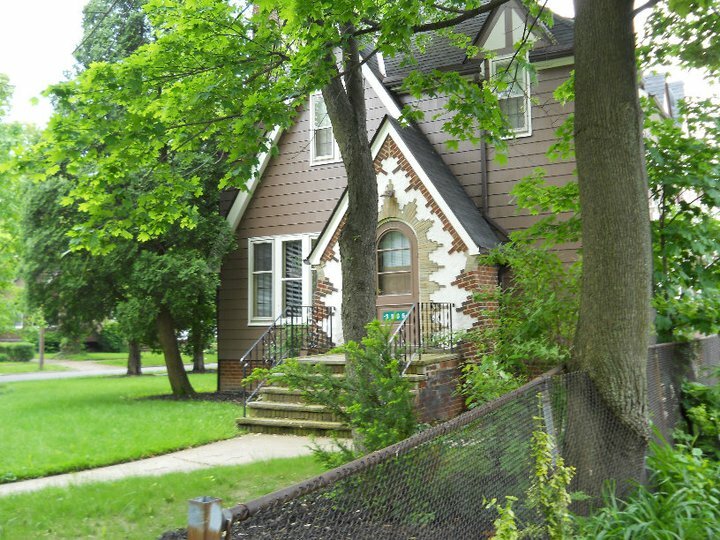 For me, living in the suburbs of Atlanta and used to the proliferation of vinyl subdivisions landscaped with Bermuda grass and baby saplings, Cleveland Heights was a delightful place. After the California cousins arrived and everyone was finally all together, the sounds of a loud, happy group enjoying a classic backyard cookout under the cool evening shade of the oak trees was a picture of Americana that only Norman Rockwell could have properly painted. The entire weekend was taken up by two things: the wedding and family time, the latter being fun and the former being beautiful and inspiring but I did get a few chances to experience some Northern cuisine. A bunch of us went to a well-known local establishment called the “Melt Bar and Grille” located near the church where the wedding was scheduled to take place later that day. This particular one is a spinoff of the one closer to downtown Cleveland but has all the ambience and liveliness of an established tavern and a unique gimmick that sets them apart: The Melt Challenge. According to their website and menu, ” Many have taken the challenge but very few have defeated the monster! Our monster grilled cheese featuring 13 different cheeses, 3 slices of grilled bread and a pile of hand-cut fries & slaw. Over 5 lbs of food!! Finish it all without any help or trips to the bathroom and you will be awarded a Melt t-shirt or Melt Pint Glass, a $10 gift card and we’ll immortalize you in our online Melt Challenge Hall of Fame”. We didn’t see any takers while we were there and having just shed over 60 pounds, I wasn’t too keen on wrecking my diet so I passed on this challenge and settled for a few French fries and a piece of a steak sandwich-and found my stomach to be very satisfied from this delicious offering. I had always heard customer service was lacking in the North but found this not to be the case at Melt where we were well cared for by our server. Just don’t order a sweet tea while you are there or for that matter, an unsweetened tea-just order a tea and add your own stuff-because they will wonder what turnip truck you just fell off of. Don’t expect to find grits very easily either. I have heard that you can get them up there for a price but they aren’t exactly easy to find. At the wedding, while the music was playing, I happened to be looking at the program and I turned to my eldest cousin and said “now I know we’re in the North cause they’re serving hominy at the wedding”. 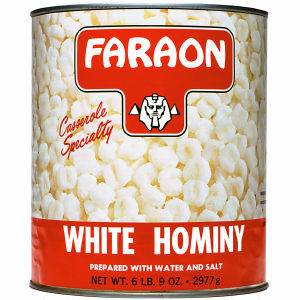 She told me to put my glasses on, that the word was “homily”, not “hominy” and indeed she was correct. The wedding itself was beautiful and came off without a hitch and the hominy wasn’t missed during the ceremony at all…and neither was grits for that matter, as I am not actually a big fan of either one of them. It was the principal of it though and I bet my Cleveland cousin, originally from Alabama, probably has a secret stash of Quaker Instant Grits somewhere in her plentiful kitchen. Yes, Northerners talk funny to us but do we ever stop and think how funny we sound to them? Northerners are as proud of their part of the country as we are ours, red dirt and all. Beauty is not strictly indigenous to the South and we should appreciate it wherever we find it. People can be friendly in either region or they can be unfriendly; it really depends on the individual, not the region. 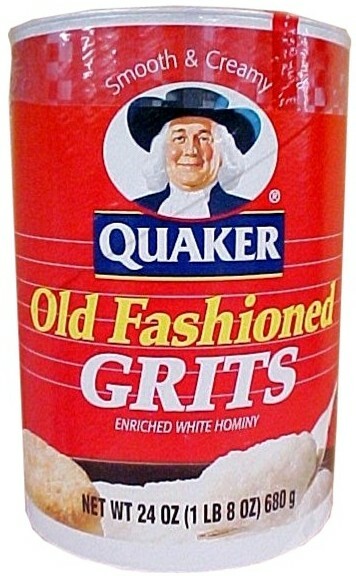 Hominy and Grits are really the same thing. Hominy is solid and a little harder to take; Grits are ground fine and smoother, kind of like Northerners and Southerners. Northerners may be a little more hard-surfaced because they live in a region that tends to be harder on a person, where it is a lot colder for a lot longer and we might be a little more hard-shelled if we had to dig our cars out of the driveway several times a year. Grits, like Southerners, are a bit smoother and easier to take and we are usually at our best when hot as opposed to when we are cold….but when it all comes down to it, we’re all part of the same crop and we come from the same stock. When the chips are down, we stand together and though we might make fun of each other, no one else had better. While we may have our differences, we can usually find common ground and if we can’t, when all else fails, we can sit down and talk about it over a Dr. Pepper. Interesting, Michael! I felt exactly the same way the first time I stepped foot in Ohio. Not sure what I thought it would look like, but I was very surprised at how pretty it is there! I kind of wondered why I’d never heard anyone comment on how pretty it is there. Loved this – planning to have some cheese grits for breakfast after this, Westerner though I may be. But here’s the big question: you’ve only been North THREE times? I can only say I just haven’t been to the South often enough, but I sure remember the wonderful found around Nashville. The Loveless Motel – that fried chicken! – and country ham/grits/red eye gravy/biscuits. I’ve always suspected you were a closet Southerner given your love of down home cooking! Maybe they should serve Dr. Pepper at the mideast peace talks. They might be able to settle all their differences if they did! Thanks for reading! Actually, Michael, my grits stash is regular not instant. Makes all the difference and doesn’t really take that much longer to cook. Thanks for the kind words about my neighborhood. I’m glad you saw it at this time of year. It’s amazing how fast the green returns after a long winter has made everything brown. It’s a very resilient place. I stand corrected…and it was obvious who inherited all the culinary skill in this family!